Handmade Premium Heirloom Lockets to Love - Sterling Silver Rhodium 20mm Heart Photo Locket - Engravable on front and back - Includes a 14" 1.5mm Grow-With-Me® chain - Adjustable at 14", 13", 12"
A BeadifulBABY Best-Seller and Customer Favorite. Also available in 14K white gold. Handmade premium heirloom heart locket measures approximately 20mm (0.79in). Also available in a larger 24mm heart locket. Also available with a diamond. Locket comes with a heart locket photo template. 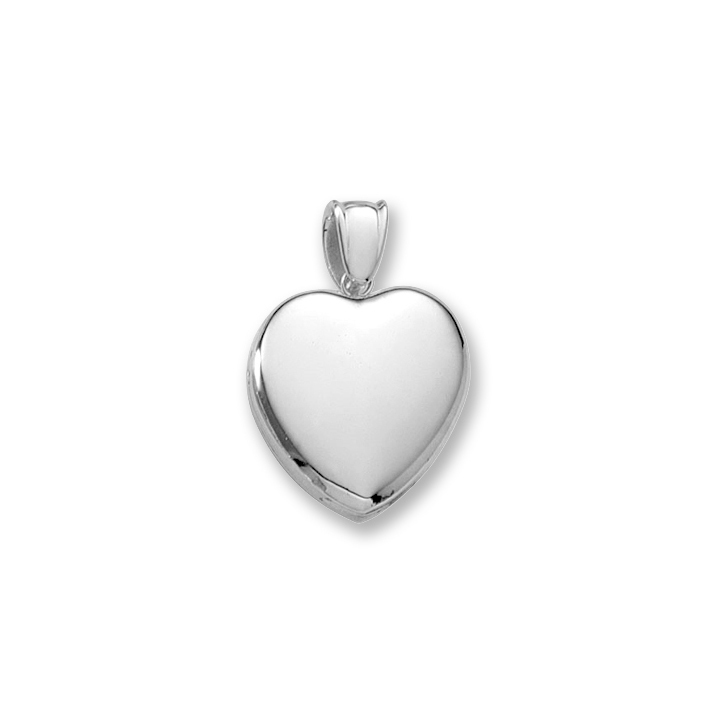 Use the heart locket template to cut the perfect-sized picture to fit this locket. Locket can hold two photos. Includes one of our exclusive superior-quality Grow-With-Me® chains - a 14" 1.5mm sterling silver rhodium Grow-With-Me® chain - adjustable at 14", 13", and 12". Shipping Estimate - ONLY 2 LEFT - SELLING FAST! This item is estimated to ship today if ordered before our daily cutoff (excluding holidays & weekends). Add transit time for estimated delivery date. Click for details. Step 1. Select Grow-With-Me® Chain Length. Learn more about our BeadifulBABY exclusive Grow-with-Me® chains. Enter letters (A - Z), numbers (0-9), or special characters. Without image recommend max 20, ideal 20. With image recommend max 10, ideal 10. View engraving tips. Step 4. Select Font / Monogram Style. Our script fonts (i.e. Script, Shelley Allegro, French Script, etc.) look best with text seven characters or less. Our non-script fonts are recommended for more than seven characters so the text is legible. View font & monogram styles, tips, and guidelines. Step 5. Add an Image (Optional). Leave us a note if you have one or more special requests or have additional customization requirements. Please note we will do our best to honor your request however, not all special requests can be met. Leaving a note may delay your order if we need to contact you for clarification or if the request entered cannot be done as stated on this product page. Step 7. Add Jewelry Polishing Cloth (Optional). Jewelry polishing cloth gives gold and silver jewelry a brilliant shine by removing tarnish and buildup. Cloth is made from 100% Long Strand Egyptian cotton and is non-toxic and non-allergenic. Enter up to 200 characters including spaces. 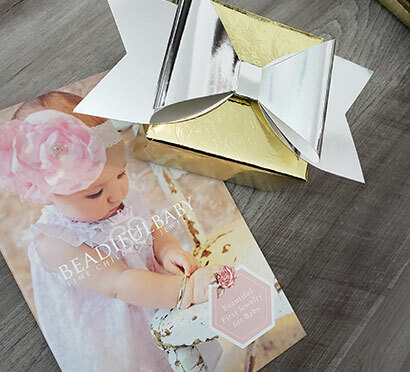 Gift messages are printed on half-page gifts cards measuring approximately 4in x 5in. Includes one matching (non-printable) envelope per gift card. View example gift card. Step 3. Add Gift Wrap Paper and Ribbon (Optional). Enter name (e.g., "Tom", "Tom's work", "Tom and Judy"). We'll request full name and address at checkout.